Now that my husband and daughter are back-to-school, the mornings are busy for us again. Breakfast is so important to start your day off on the right foot, and Adalyn and I always make sure to have a nice breakfast together. Troy often needs to help students before school since he is a teacher so he often has to get out of the house pretty early. He will take his breakfast on the go or eat something quickly that he can heat up in the classroom. When it comes to breakfast, I like to choose meals that are rich in protein, healthy fats and whole-grains. We are not creatures of habit and prefer to switch things up for breakfast so we are always eating different things. Adalyn loves to wake up in the morning and ask for all different things for breakfast. It is pretty fun because her and I have the same tastes in food. 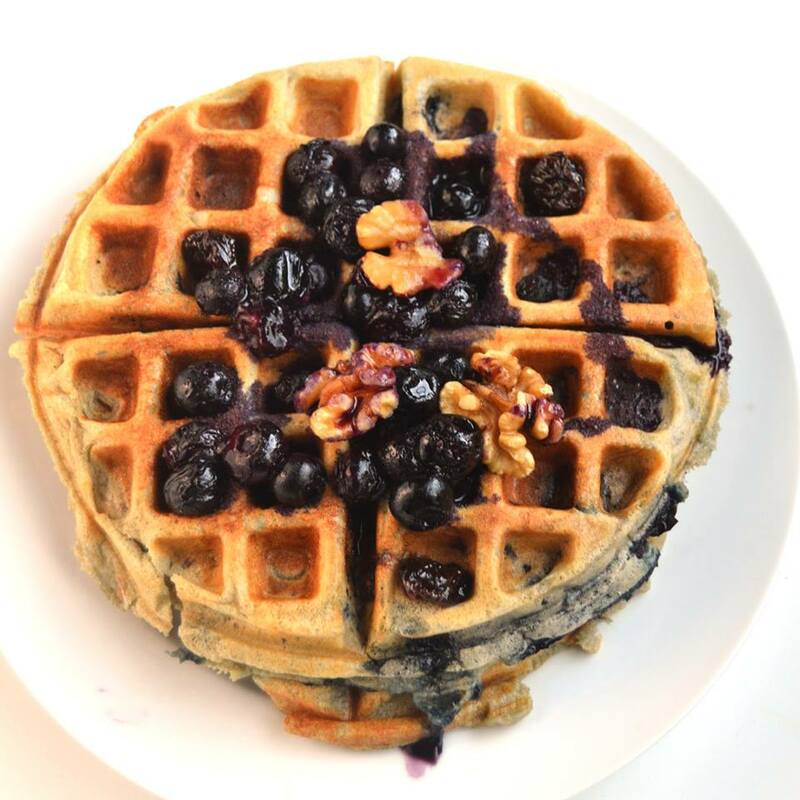 I love having waffles for breakfast. I like buying a boxed whole-grain, protein rich brand and making them ahead of time. In the morning, I just toast them in the toaster and breakfast is ready in no time. 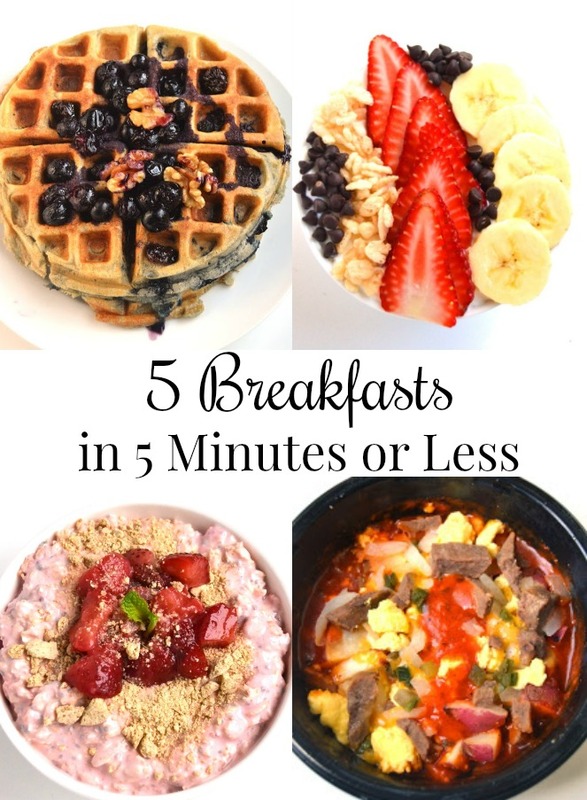 If you have 10 minutes total, you can make these yourself that morning by using a boxed mix. Adalyn loves yogurt so we are always making different combinations with yogurt. She loves sprinkling "chia sprinkles" on her yogurt- AKA chia seeds, which are a good source of omega-3 fatty acids, protein and fiber. We buy Greek yogurt and top with fruit, cereal, nuts, oats, etc. Smoothies are one of my favorite go-to breakfasts because they are very customizable, taste like dessert, fill me up and make me feel great. Lots of benefits! My favorite smoothie that I make the most often is baby spinach, protein powder, milk and a frozen banana. If you want to save even more time, you can load your blender up with the ingredients ahead of time and just blend in the morning. I love making my smoothie packs ahead of time as well for smoothies in no time. Overnight oats require no prep time in the morning. They are completely made ahead of time and you just grab a spoon and eat when you're ready. I put Greek yogurt, oats, milk, chia seeds and whatever fruit/nuts/seeds that I want in it. Troy loves taking pre-made breakfasts to work and these Jimmy Dean 9 oz. Breakfast Bowls are right up his alley. He is definitely not a sweet breakfast person like Adalyn and I are so he loves meals like this a lot more. I picked them up from Meijer in the frozen foods aisle and got ones that I thought that Troy would especially love: Ranchero Steak and Eggs Breakfast Bowl and the Burrito Breakfast Bowl. They also have a Loaded Potato Breakfast Bowl! You just heat them for 2 1/2 to 3 minutes and breakfast is ready. When I heated these up, they smelled so good! I love Mexican-style breakfasts so I especially loved the Burrito Breakfast Bowl. Both varieties were really good though. I like that they are a complete meal and that I don't need to make other foods with them. Each bowl is packed with protein - at least 21 grams of protein and the sauces are awesome! Find out where you can buy these Jimmy Dean 9 oz. Breakfast Bowls at Meijer using their store locator.